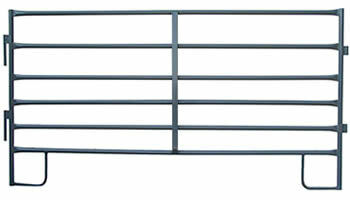 Horse panels, also known as corral panels or livestock panels, are generally used to encircle horses or large livestocks to ensure their safety and keep the unwanted animals out. They can be designed into multiple types of pipes with diverse attachments. 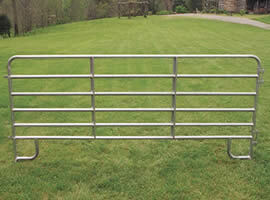 We supply a wide range of horse panels systems and accessories for horses, foals and other livestock. The horse panels can be easily installed that they can improve your working efficiency. On one hand, the powder coated horse panels resist corrosion, alkali, water and sunshine. On the other hand, the painted surfaces make your horse panels attractive. Galvanized corral panels are zinc-coated that can resist corrosion and the J-legs are permanent that can prevent the panels from sinking down. The panels are firmly structured with cross and vertical rails. 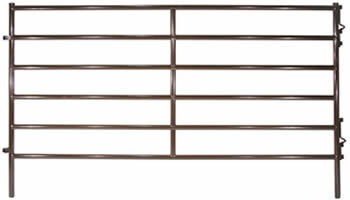 The hooks on the corners can keep your animals safe and prevent your horses from stepping out of their head through the panels. 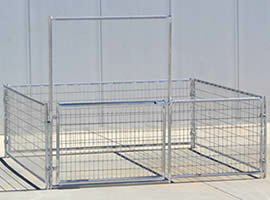 The portable corral panels are lightweight and mainly made of low cartbon steel material. They are generally applied for traveling or camping with your beloved horses on trailers. The feeding racks are vertically welded so that they have enough space for horses to extend their heads and necks when eating and drinking. Horse panels can be used to encircle horses and keep unwanted predators out on farmland or exterior environment. 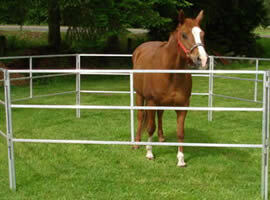 Our horse panels are ideal for horses at a round pens, show, rodeo. The stable J-legs and round corners keep the horses safe. 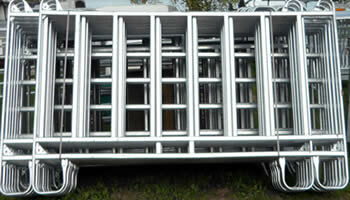 Portable corral panels are lightweight and can be easily carried on the trailer for further traveling. You can take hay and bucket to feed the horses. Feeding racks ensure the horses have permanent position to eat. They avoid horses fighting in struggling for food. Meanwhile, they can keep the stable clean. The welded wire mesh at the bottom mainly keep foals or tiny horses. It prevents foals stepping out and getting injured. Horse panel shelters protect horses from sunshine and rain in summer and snow or wind in winter. The shelters ensure horses comfort and health. As a larger manufacturer of producing horse panels, we ensure the quality of the products are superior and the size of products are available. What's more, we can customize the products according to your request and provide you with superb after-sales service. If you show interest in our products, please scan our website http://www.horse-panels.com or you can e-mail us at perfecy@horse-panels.com. Heavy zinc and powder coated horse panels are available in type & size. 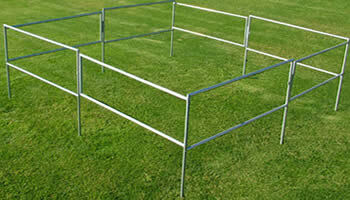 They are used for enclosing and training horses in stalls, round pens, arenas. Portable horse panels are made from low carbon steel material. They are lightweight enough to be carried easily for traveling, camping on trailers. 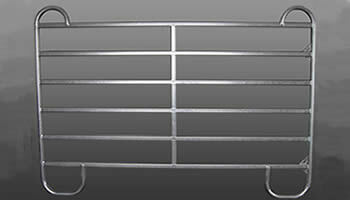 Welded wire horse panels are sturdily welded with wire and steel tubes. The smooth surface protects horses and the close space ensures foals safety. 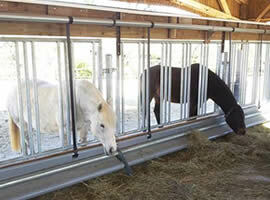 Horse panel feeding racks provide enough space and stable position for horses. The racks separate the hay and manure, making the stables neat.